Travel time and training included on all Community Support contracts in addition to the client facing hours. Headway Devon are looking for a compassionate and caring person to join our Community Support Team. This is a rewarding role, which involves enabling people to live independently and achieve their goals. What Makes Working for Headway Devon so Special? Whatever role you are in, you will be part of a team making a real change to people living with Acquired Brain Injuries. 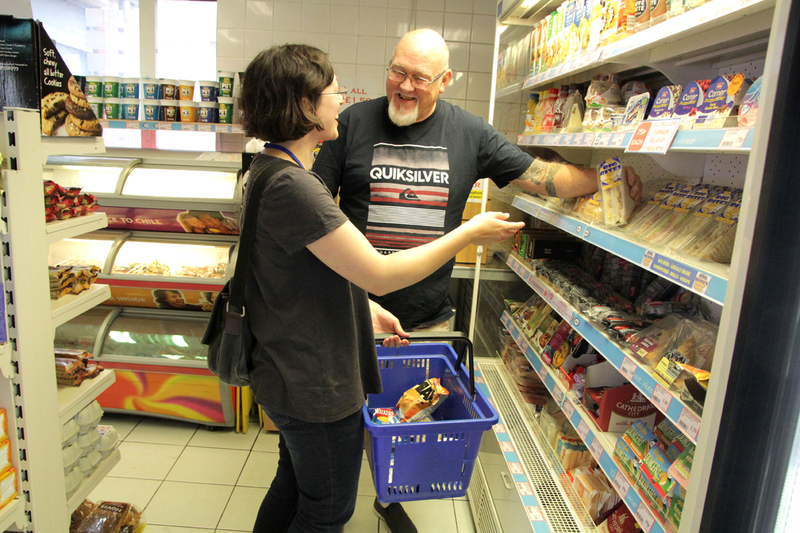 Community Support work can be very varied, with activities ranging from assisting someone to plan and cook healthy meals, through to special day trips out around the region. At Headway Devon we encourage and support all our staff to be individuals, and to use their talents and experience to enable our clients to live independently and achieve their goals. We offer a more balanced working day than many other sectors, providing sufficient time for staff to spend with clients meeting their needs. This means no visits are less than 1hr in duration, and reasonable travelling time is scheduled between appointments for staff. This not only helps us to provide a quality service in which our client’s needs are met, but also ensures our staff are able to do their jobs without feeling rushed or pressured.